There's no doubt that Liza Soberano has become one of the most sought-after and most loved showbiz sweethearts in recent years. No small thanks to her irresistible beauty and unassuming charm, she's a darling we can't get enough of. The ABS-CBN actress has a loyal online fan base of over 10 million Instagram and Twitter followers combined. And while Liza is preparing for her next highly-anticipated project as the Philippines' favorite superheroine Darna, fans still get a daily dose of the 20-year-old star through her updates via her Instagram account. Liza's account, @lizasoberano, has over 8.2 million followers, and like most of us, Liza's Insta feed is a well-curated gallery filled with interesting info on her interests, her current endeavors, her downtime, and even some insider scoops that may not have been reported by the media. With her Instagram following exceeding the eight million mark (which is a milestone all on its own) Liza's account documents projects that she constantly gets—from acting to endorsements—which prove that this beauty works really hard! She's so well loved by brands and consumers that she was recognized as the most popular endorser in 2017. And her feed is a testament to that. And, of course, beauty tips! Living a life of an A-lister might be a dream for a lot of people but showbiz commitments sometimes get too taxing that time spent with family and friends is compromised. On her posts, Liza makes it a point that she gets to spend time with her loved ones, be it on their family travels or just on random posts of them bonding together. This makes her all the more loveable! A quick hang out with the fam before work? Who wouldn't admire this? And she can't help but be a stage ate! And why not include your girl-kada in your endorsement post? Her glam team is also considered an extension of her family. Liza is a young woman and she also has her own set of obsessions. And, at times, her star power has given her access to many international stars which made her fangirling dreams come to life. Remember when she met The Vamps? And then James McVey had to just take a selfie with her…TWICE?! 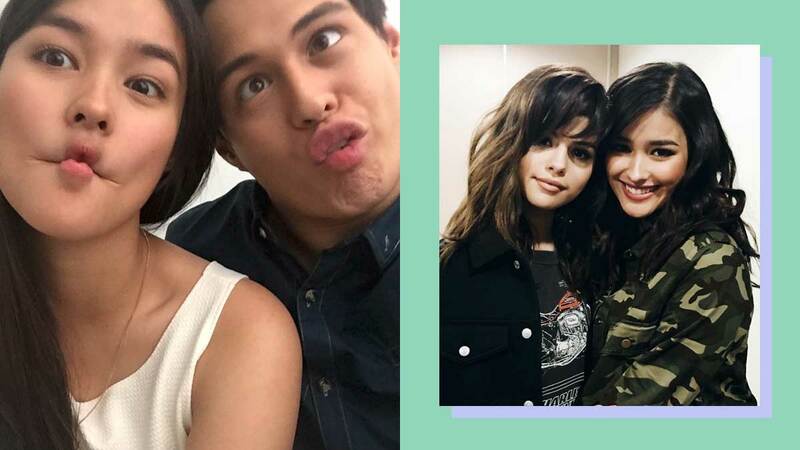 Our girl Liza also has many cute photos with love team partner and rumored beau Enrique Gil. The two, who've been partnered up since 2013, have gone together everywhere—from tapings to random date nights to overseas travels. And who better to use as an artsy subject but her Quen?